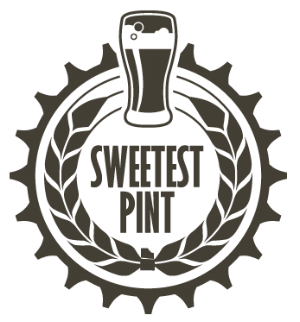 The Sweetest Pint returns March 24. Tickets available now! YORK, PA – Downtown Inc’s Sweetest Pint Tasting Tour Presented by Brewery Products will return Saturday, March 24, and highlight the mouth-watering pairing that started it all – craft beer and chocolate. Tickets for the Downtown Beer & Chocolate Tour are now available at www.downtownyorkpa.com/sweetestpint/. During the Sweetest Pint Tasting Tour, seven groups make their way to seven stops, each featuring its own unique tasting experience. Every stop pairs a small plate chef’s creation made with chocolate with a 5 oz. craft beer from a local brewery. Designated drivers receive a small plate and a craft soda sample at each stop. Standard admission is $40. Designated driver tickets are $20. Sweetest Pint is a walking tour. Check-in will take place at 2 p.m. in Cherry Lane Park, and the tour will depart at 2:10 p.m. The event runs until 4:45 p.m. Featured stops and breweries will include Collusion Tap Works, Crystal Ball Brewing Co., Mudhook Brewing Co., Revival Social Club, Sweet Melissa’s Dream, Taste Test, Hamir’s Indian Fusion with Must Have Chocolate, Aldus Brewing Co., Wyndridge Farm and more. In addition to chocolate, The Sweetest Pint Tasting Tour has featured pumpkin and berries as pairing options. All tickets purchased are considered a direct donation to Downtown Inc, a 501(c)(3) nonprofit that works to improve Downtown York. There are no refunds on tickets.